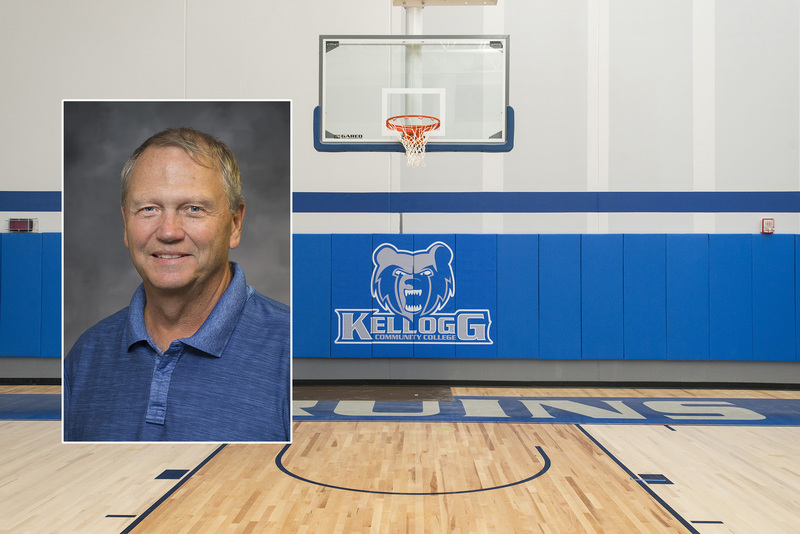 Gary Sprague, a former Gull Lake varsity basketball coach, will lead the Kellogg Community College’s men’s Bruins basketball team starting with the 2018-19 season. Sprague will be available to meet the public at KCC’s upcoming open house and ribbon cutting ceremony to celebrate the opening of the College’s new Miller Physical Education Building from 4 to 6 p.m. Tuesday, Aug. 7. The event will be held at the new building on campus at 450 North Ave., Battle Creek, and is free and open to the public. For 21 years, Sprague, a graduate of Western Michigan University, was the varsity coach at Gull Lake High School in Richland, where he also was a teacher for 35 years. Sprague recently met with some potential team members at a KCC open gym event. He said there were about 19 potential players there, and he hopes to have a team of at least 12 going into the coming season. “We’re still open to other players and I’m in contact with some other guys that I expect to see shortly,” Sprague said. When coaching young men in college, Sprague said, it goes beyond the court. Sprague is replacing KCC’s former head men’s basketball coach Ben Reed, who has taken a teaching position at Olivet College. Reed was an assistant men’s basketball coach at KCC for three years before taking the head coaching position starting with the 2015-16 season. Shaw said KCC was fortunate to find Sprague, describing him as the right person at the right time. For more information about KCC’s men’s basketball team, visit www.kellogg.edu/mens-basketball.